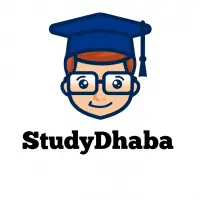 Vajiram mains test Series 2017 Test 9th pdf – 9th and 10th Mock tests – Hello Friends Welcome to studydhaba.com . Here We are sharing Vajiram and Ravi Mains 2017 test Series for Free . The patrons of art and architecture during Vijayanagar Empire were the inheritors of the rich traditions of the Cholas, the Pallavas and the Hoysalas. Elucidate. The ancient Silk Road played a very important role in the spread and exchange of cultural ideas between India and the rest of Asia. Elucidate with suitable examples. Examine the major factors shaping the British land revenue policy in India. What was the impact of it on village communities especially in northern India during the late 18th and early 19th century? Discuss the contributions of C. Raja gopalachari in the freedom struggle and post independence India. Examine the contribution of Indians between World War 1 and World War 2 in popularizing Indian freedom struggle outside India? The Korean peninsula is one of the most militarized regions in the world. Analyze the reasons behind it. Also comment on the role played by India in the 1953 Korean War.